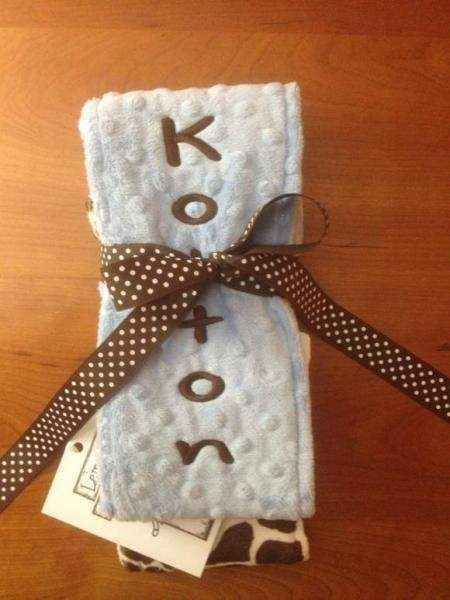 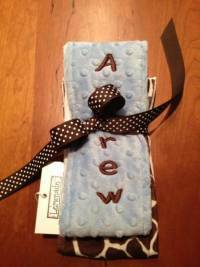 This blue boy minky burp cloth set makes the perfect upscale baby shower gift. 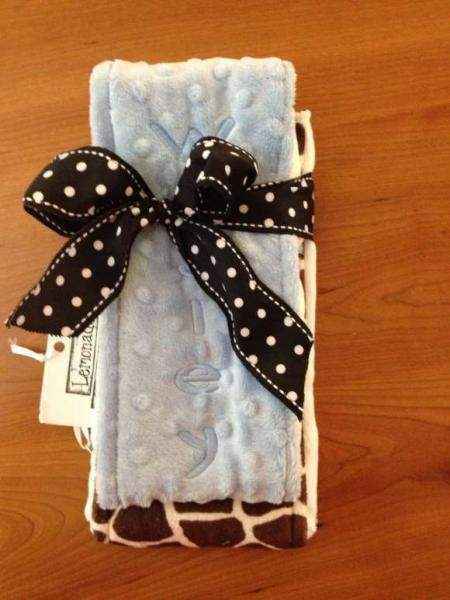 Minky is so soft, and this is the real stuff! Soft minky is perfect for delicate little faces. 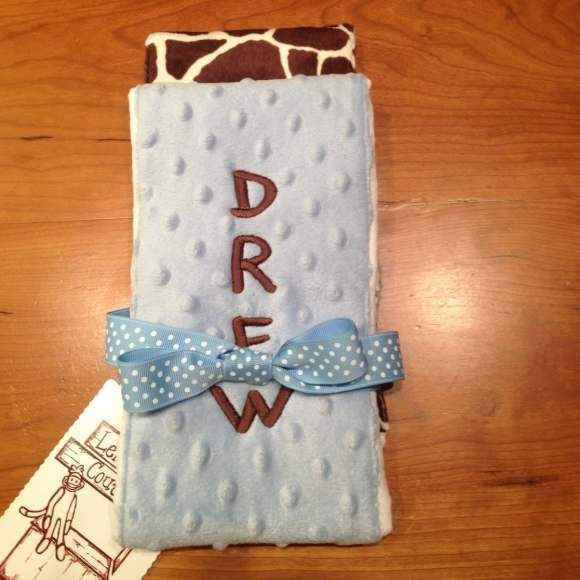 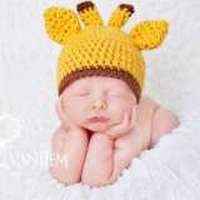 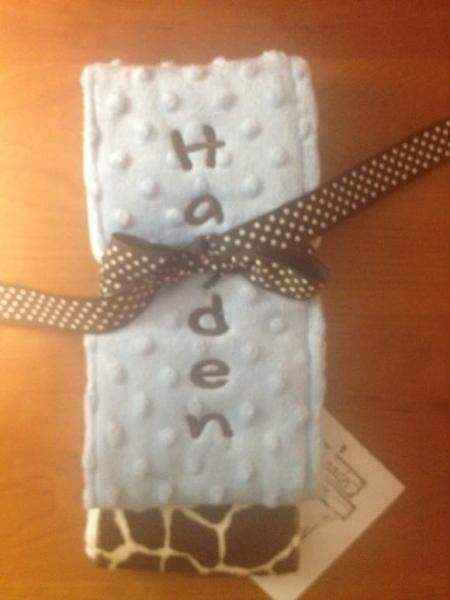 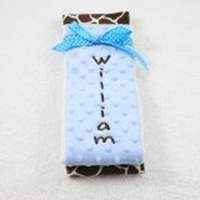 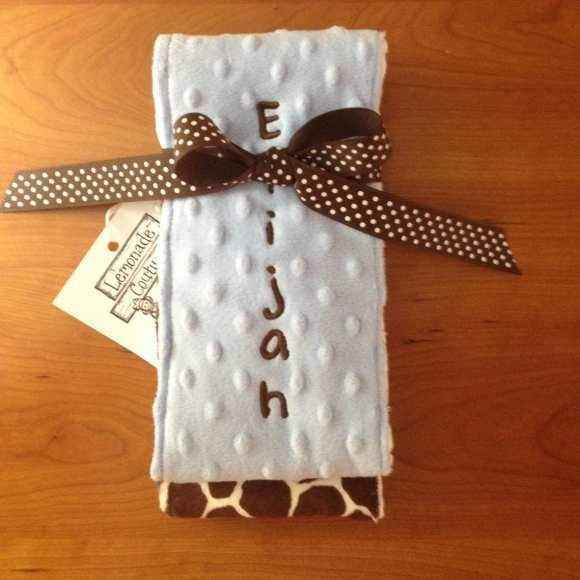 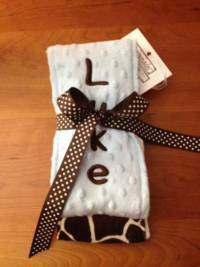 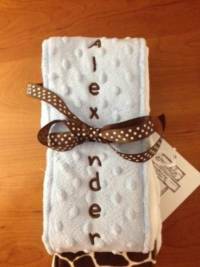 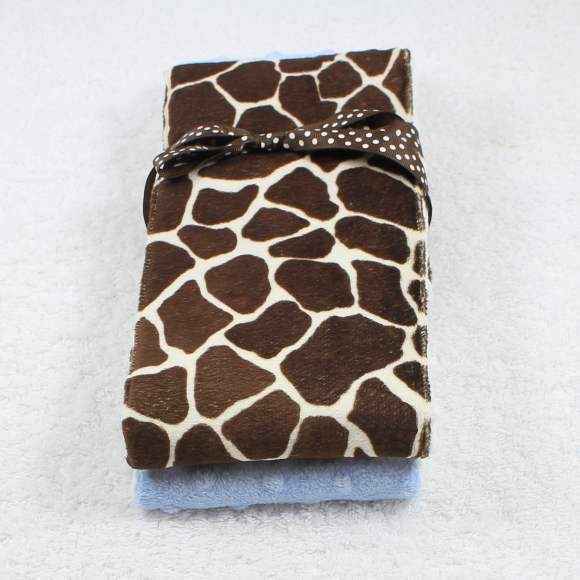 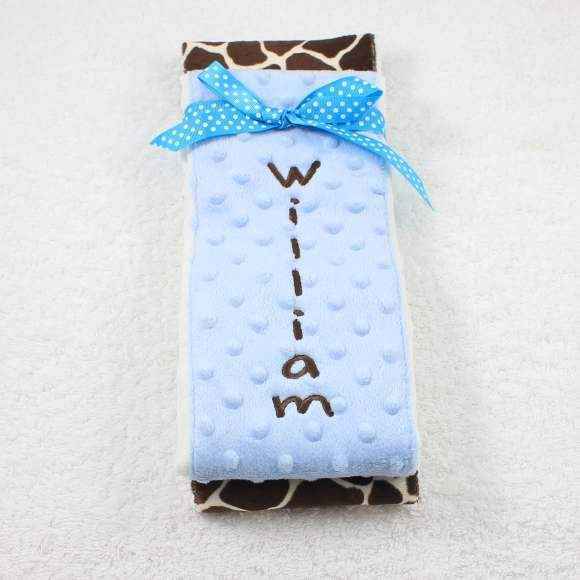 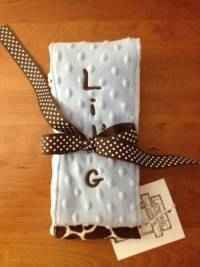 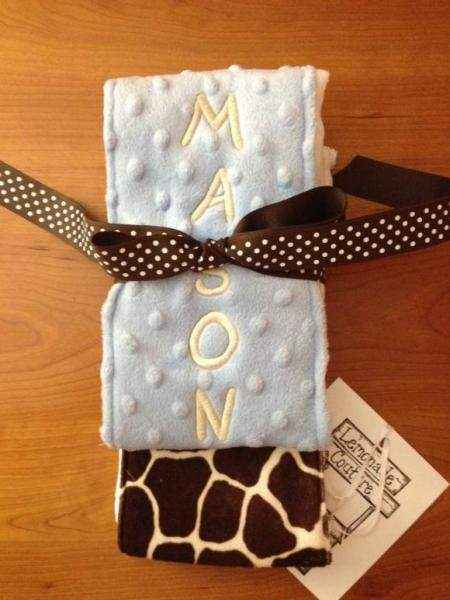 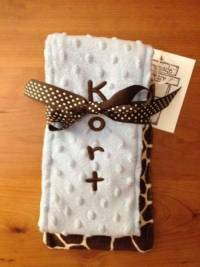 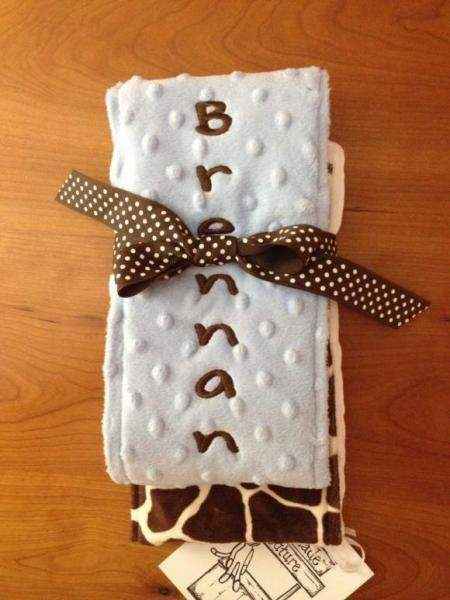 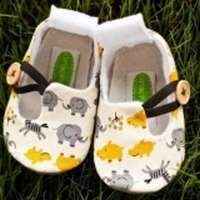 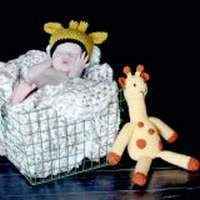 These baby boy giraffe burp cloths are handmade in the U.S. 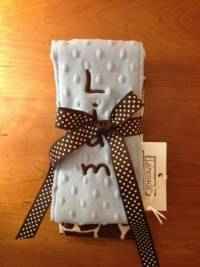 The monogram comes on one burp cloth in the set. 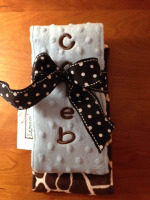 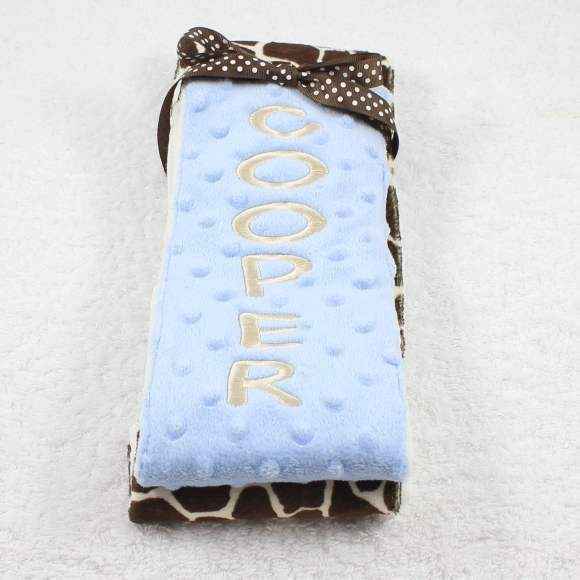 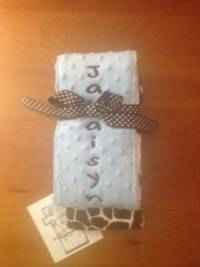 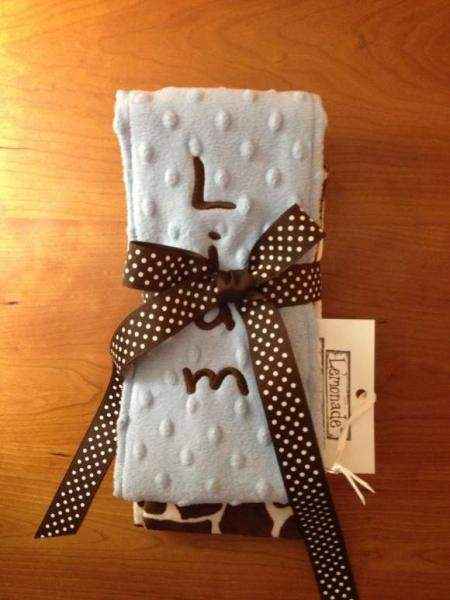 The light blue minky dot burp cloth will contain the monogram. 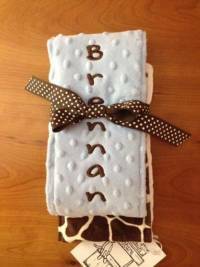 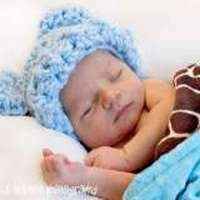 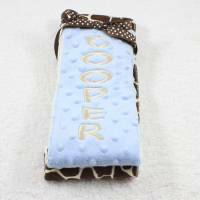 Note: Each set of light blue minky dot giraffe burp cloths is handmade individually, and so there will be slight variations from the photos.